First storm of the season! Couldn't have asked for a better place to experience Tofino. Couldn't have asked for a better place to become engaged! 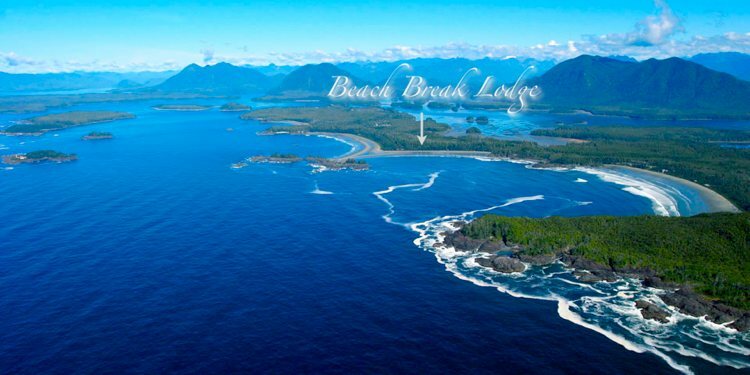 Tofino & Beach Break Lodge will hold a special place in our hearts forever and cant wait to be back. Ate enough seafood to satisfy an otter, hiked the trails, sat and enjoyed the one of a kind view, and soaked it all up in the hot tub. Left our boots for the next lucky ones to arrive! We've both been to Tofino many times, but we've never had a chance to enjoy a hot tub while watching the waves roll in. We have had a wonderful, relaxing few days staying right on the doorstop of what must be one of the most beautiful beaches in the world. We feel totally relaxed and renewed. Once again another great mini holiday in paradise. You have an amazing place here. So peaceful and relaxing. We love the sounds of the waves crashing against the shore and the amazing view from the hot tub. Oh and the long walks on the beach. How romantic. We will be back. Only one complaint, not enough time. Gorgeous place to be. You thought of everything down to the very last detail, I couldn't think of a better place to celebrate 25 years of marriage. Hope to see you again. An Incredible Site!!! Peachy, private, hot tub in front of the sea. It was only two days but will be coming back in one year. Absolutely fantastic. What a lovely, perfect spot for our honeymoon! We beach combed, crabbed on kayaks (thanks Steve! ), boogie boarded and tried out surfing, and ate seafood until we had our fill! Can't say enough good things about our sunset dinner at long beach lodge restaurant. Also recommend Shelter. The hot tub was a nice way to wind down and warm up. We didn't even mind the rain and some fog. Thank you Beach Break Lodge. We had a wonderful time here in Tofino and in the Beach Break Lodge. Everything was perfect, stylish, and we could not have been more comfortable. The view out of the hot tub is breathtaking and the fireplace in the bedroom is so toasty, it makes you not want to leave the large bed in the mornings. Thank you very much for having us here. This was our first holiday, and it was everything we imagined/wanted it to be. We had an awesome time and we will be back for sure. We had a wonderful time! we couldn't have asked for a better location and facilities. What a fantastic place to spend my birthday weekend and let our love blooms. The weather couldn't have been better! Wow. The place is lovely and we made use of all the fine details.. love the five place is outdoor hot tub (not to mention the indoor soaker tub). What a lovely start to our 6 week stay in Canada. The facilities were everything and more than seen on the internet. Thank you Janet for such hospitality, you have a wonderful place here!